CeilingAP V1.0 specification | Oolite Device | hello, sincere and open world! 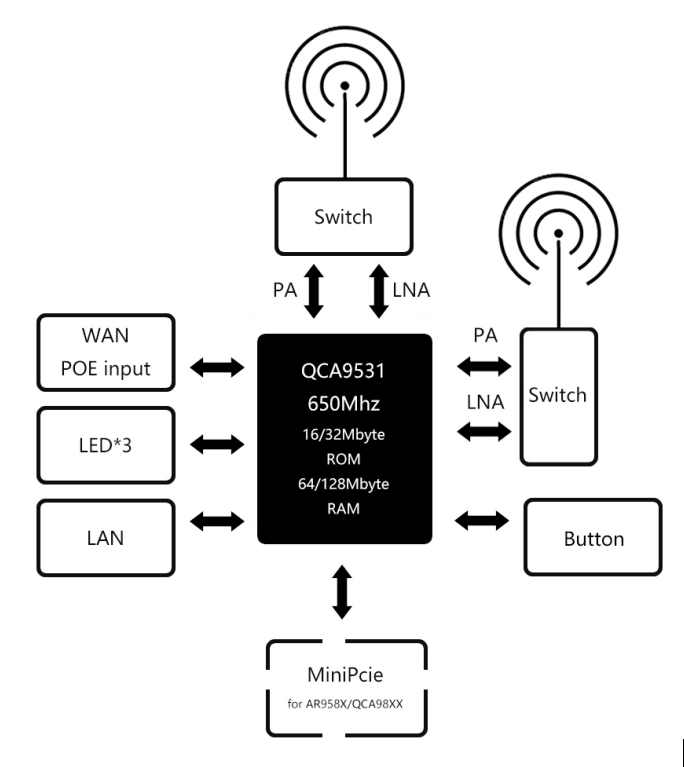 CeilingAP V1.0 is based on Qualcomm Atheros QCA9531 chip. It's up to 650mhz processor and support expand 5G WiFi or usb 3G/4G modem. Embedding 64/128MB RAM and 16/32MB ROM makes it quick launch wireless scenarios . Integrated high power PA and LNA , transmission distance is upgrade to farther. CeilingAP V1.0 can be powered by PoE （802.3at/802.3af/Passive 12-48V POE） or DC （12-48V）.